The 57th Venice Biennale is now in full swing, and the City of Canals is awash with wild and wonderful exhibits by artists representing the 86 countries participating this year. 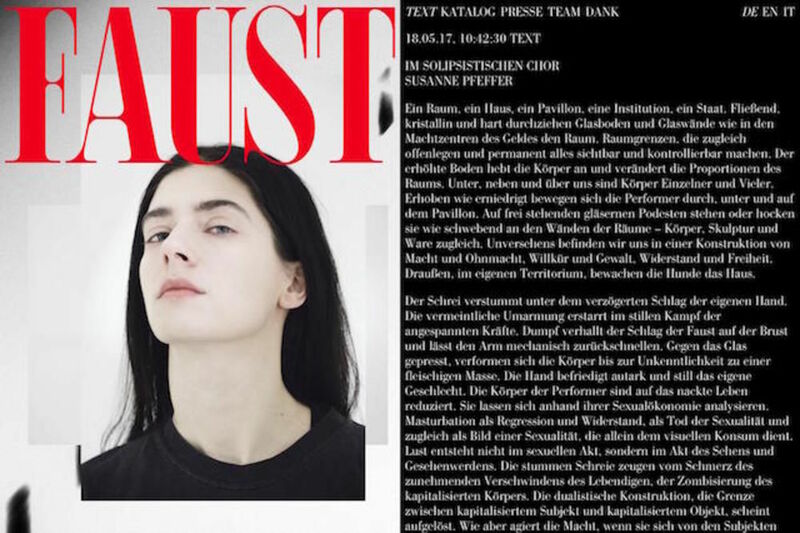 The Biennale's coveted Golden Lion prize for best national pavilion has just been awarded to Germany, for an ambitious and startling performance-based work, Faust, created by artist Anne Imhof and curator Susanne Pfeffer. 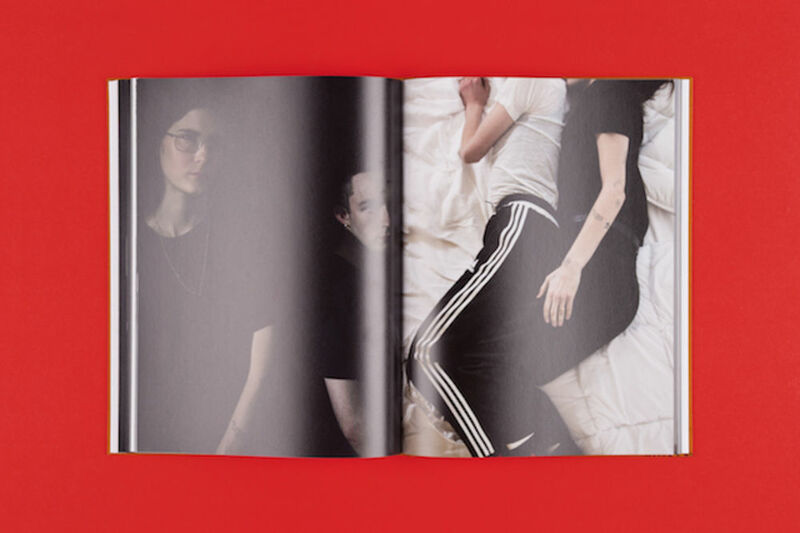 Graphic design and art direction for the German Pavilion has been deftly handled this year by Zak Group, who have created a catalogue and website to accompany the work in collaboration with its creators. 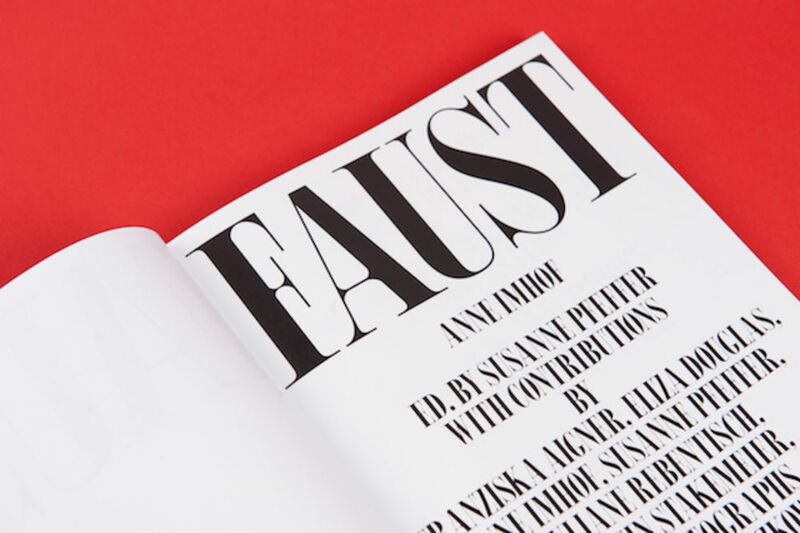 Zak Group created a bespoke typeface, Their Bodoni, for the project, exaggerating the contrast of Giambattista Bodoni's original to dramatic effect. 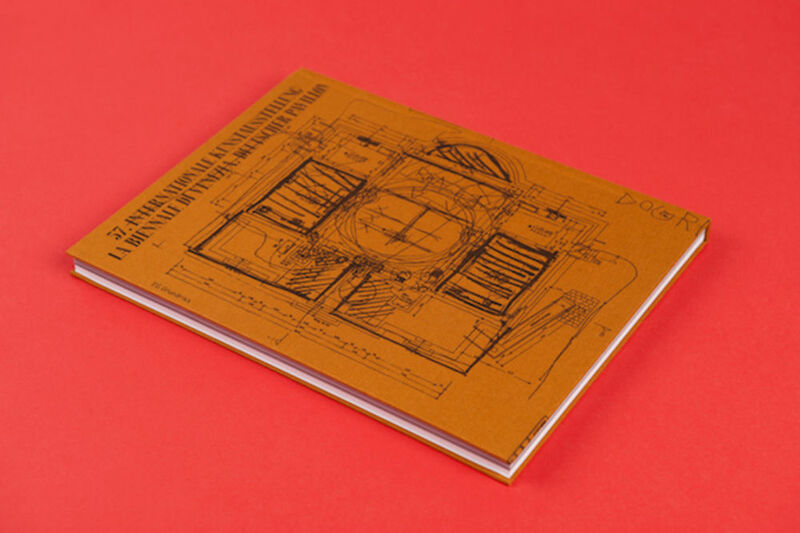 The typeface features on the cloth-bound cover of the book; the reverse depicts an annotated plan of the German Pavilion, revealing part of the process of the work's creation. 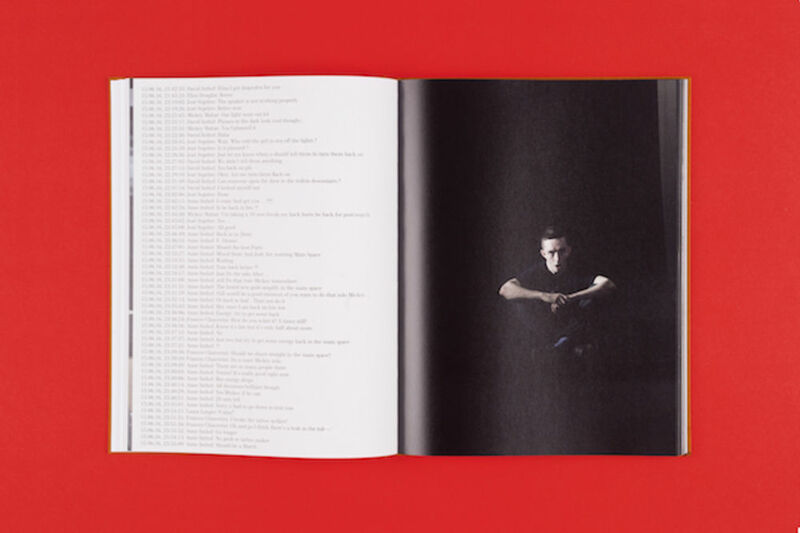 Inside, the performance itself is represented in a sequence of photographs of members of the artist's team enacting key gestures and actions from Faust, taken by Nadine Fraczkowski, accompanied by a series of transcribed WhatsApp conversations that took place between Imhof and the performers during the project's development. 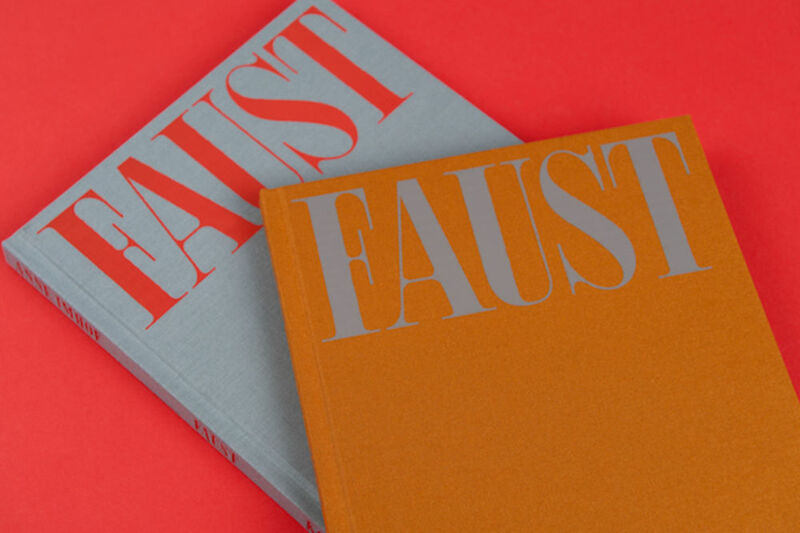 The publication also features contributions by Franziska Aigner, Eliza Douglas, Kerstin Stakemeier and Juliane Rebentisch, and Imhof and Pfeffer themselves. 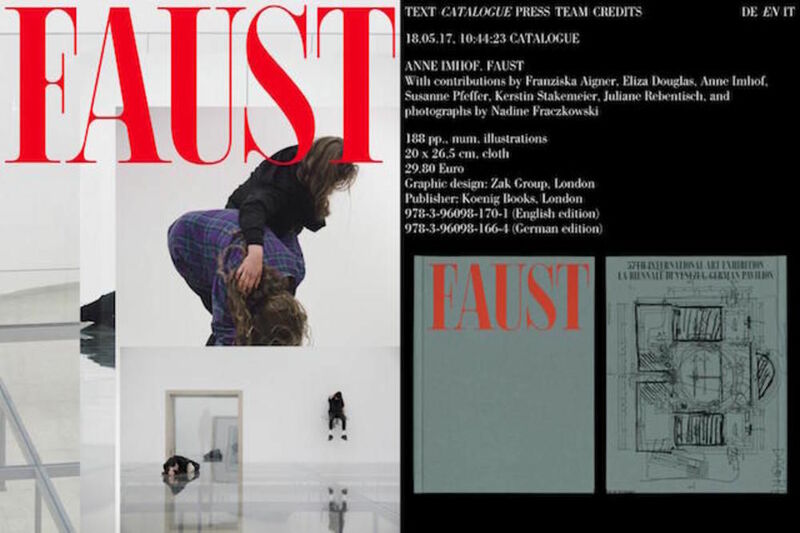 The website design plays with the same notions of observation, participation and performance alluded to in Imhof's work, with stacked images exploring the gestures performed throughout Faust, presented side-by-side with texts exploring the artist's work and further information about the exhibition, in three languages. A clever piece of programming causes the column to slowly fill with further WhatsApp conversations from the project's development if the page is left open and unattended. 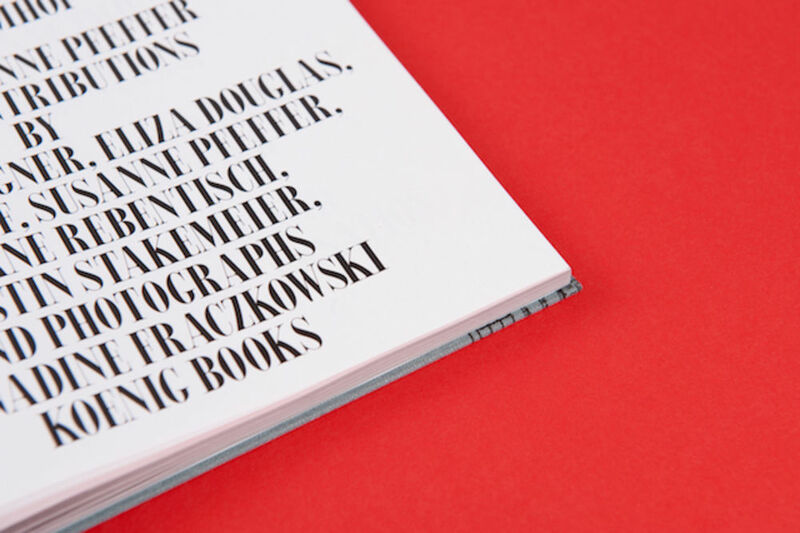 Explore for yourself at deutscher-pavillon.org or see the exhibition itself in Venice, until 26 November.